Finding non-toxic and all natural candles can be difficult, which is why we created our line of handmade and natural beeswax candles. This All Natural Lavender Pure Beeswax 9 oz. 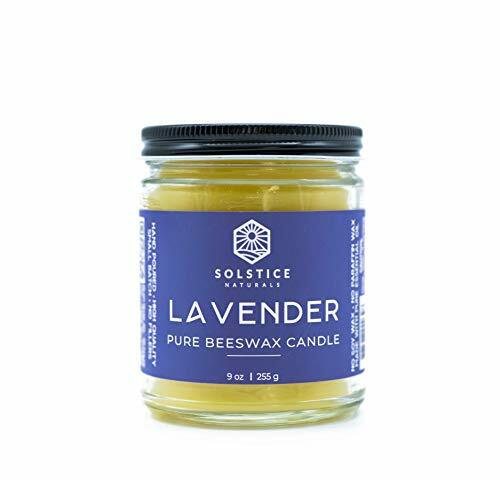 Candle pairs 100% pure beeswax along with the relaxing scent of pure, undiluted therapeutic-grade lavender essential oil for a mild yet luxurious scent that soothes, relaxes and calms. Because the scent of lavender promotes tranquility, you will experience an overall feeling of well-being while burning this candle wherever you are. Use it near you during a relaxing bath or even a restorative yoga session after a long day. Whatever you choose, you'll feel good knowing it is all natural. So go ahead and indulge naturally! If you have any questions about this product by Solstice Naturals, contact us by completing and submitting the form below. If you are looking for a specif part number, please include it with your message.